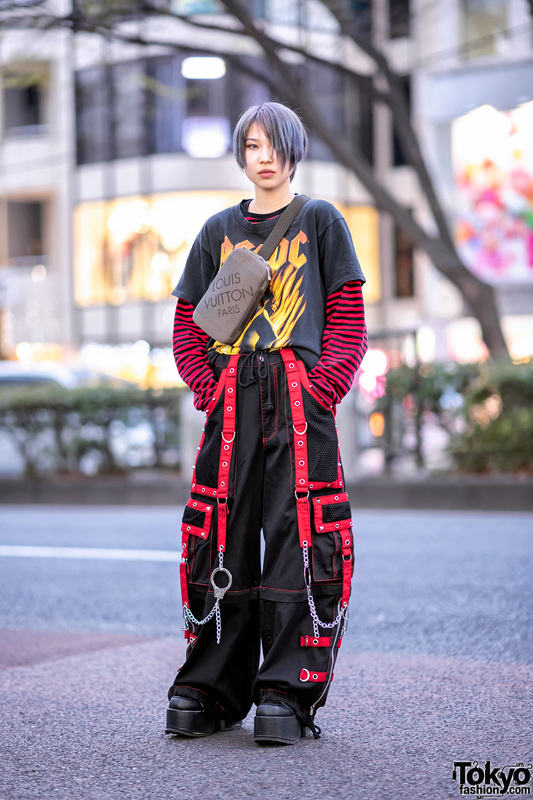 While out on the streets of the Harajuku neighborhood, we came across Kakaru and Hiroki, whose striking streetwear ensembles easily caught our attention. 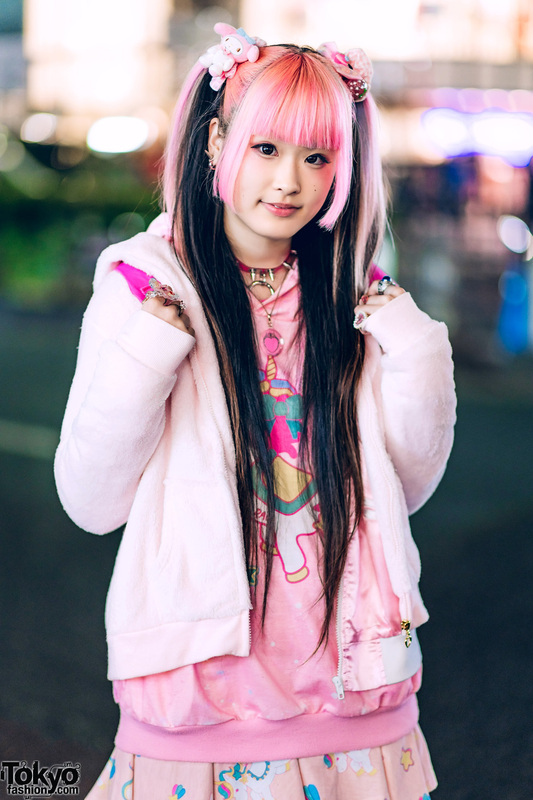 At the right sporting two-tone black-and-pink hair in twin tails is Kakaru, an 18-year-old part-time clad in an all pink ensemble. 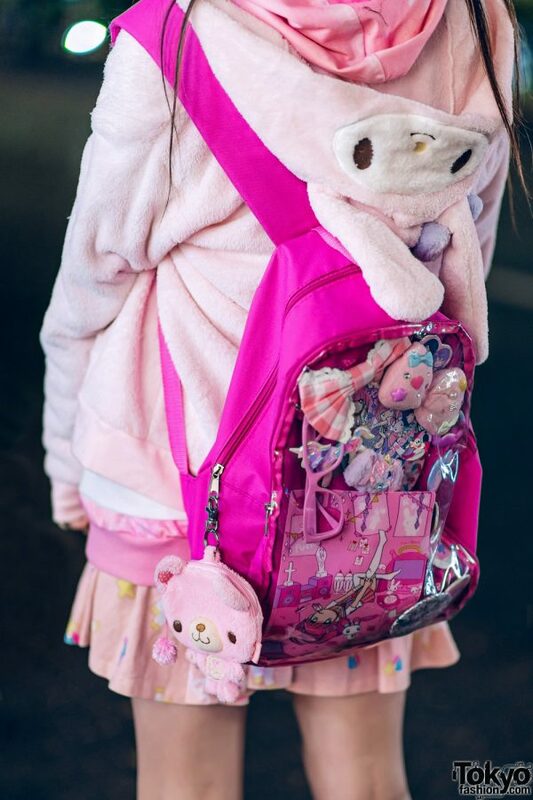 She is dressed in a pastel pink fuzzy hoodie jacket, worn over a pink unicorn print hoodie sweater from ACDC Rag, and paired with a pink unicorn print skirt – also from ACDC Rag. 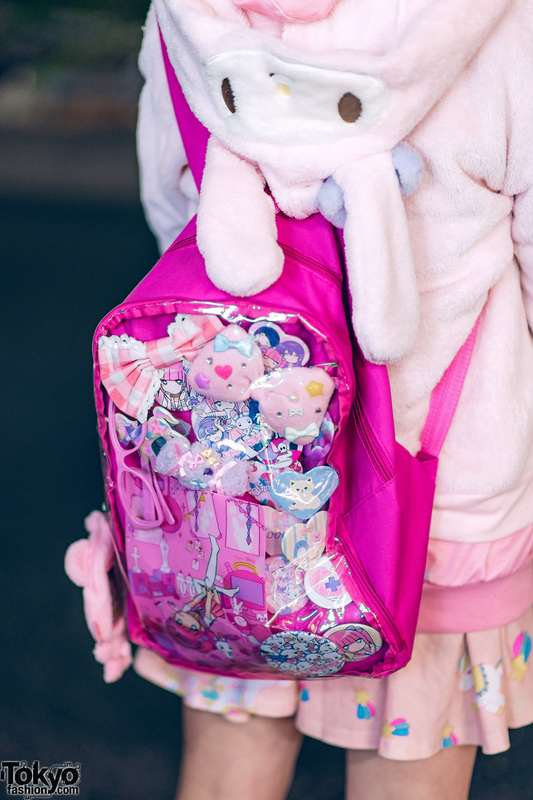 Printed socks, white platform sneakers from WEGO, and a pink Thank You Mart backpack with a clear front flap filled with pink badges and cute stuff completed her outfit. 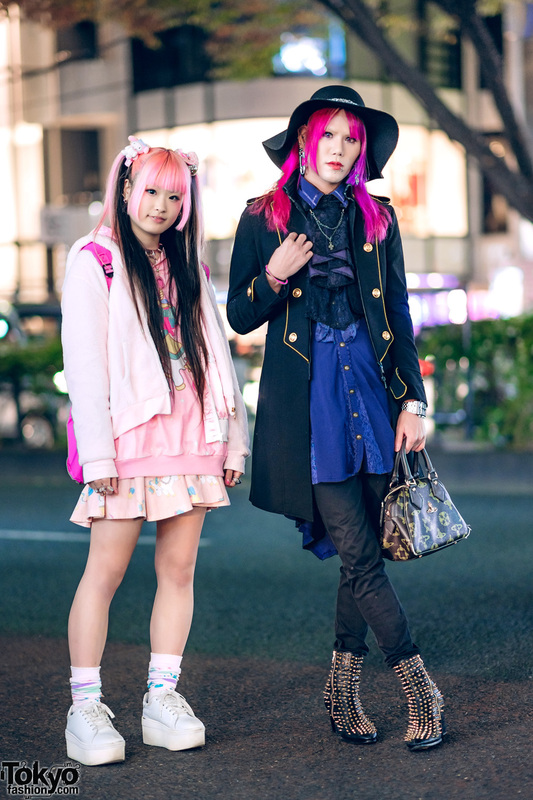 Accessories such as hair bows – from Claire’s, Sun Hoseki and Sanrio Shop – a spiked o-ring choker layered with a heart pendant necklace, spike earrings, and multiple rings from Swimmer and Sun Hoseki rounded out her cute all pink style. 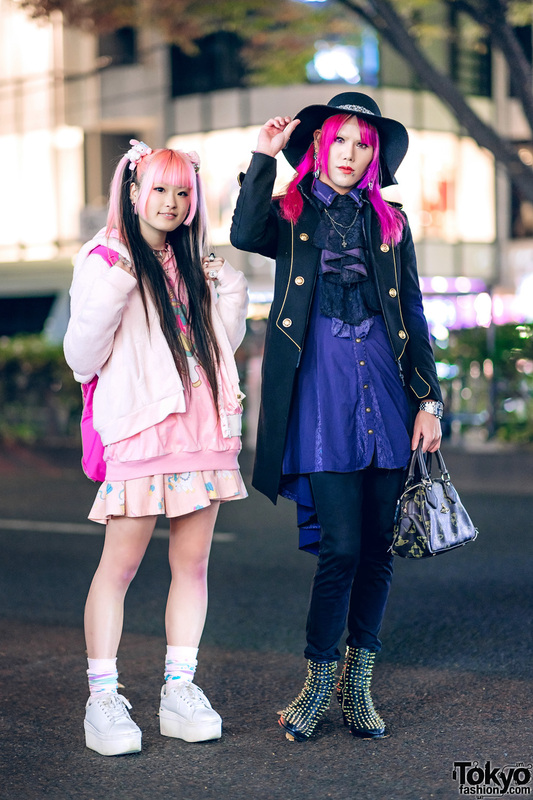 ACDC Rag is Kakaru’s fashion favorite, and she listens to Vocaloid. 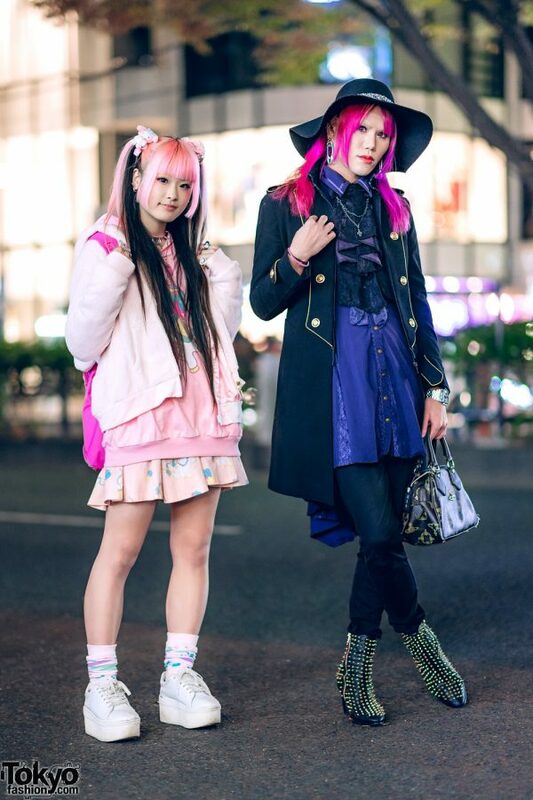 Check out Kakaru on Twitter and Instagram. 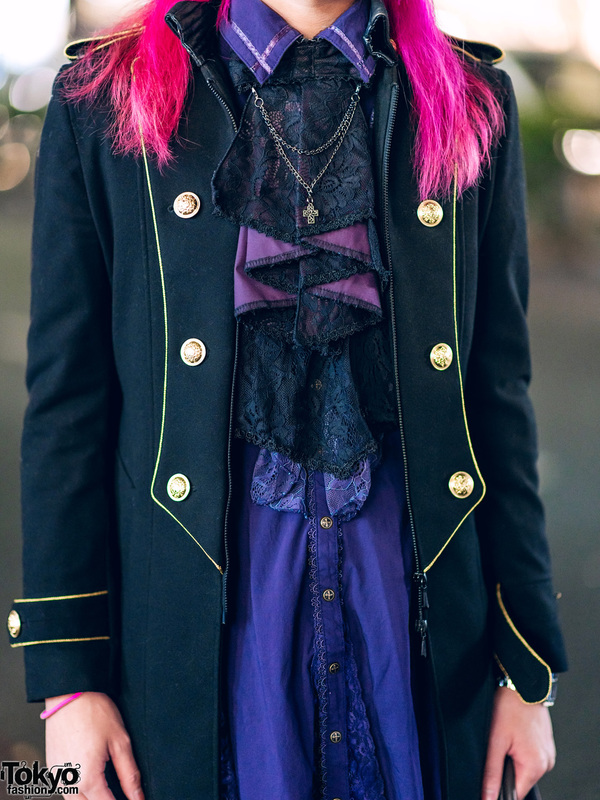 Meanwhile, pink-haired Hiroki – who works in the apparel industry – stepped out in a black tuxedo coat with contrast gold trims and buttons from Buffalo Bobs, which he wore on top of a long purple long sleeve shirt with front ruffles and high-low hem from Ozz Croce. 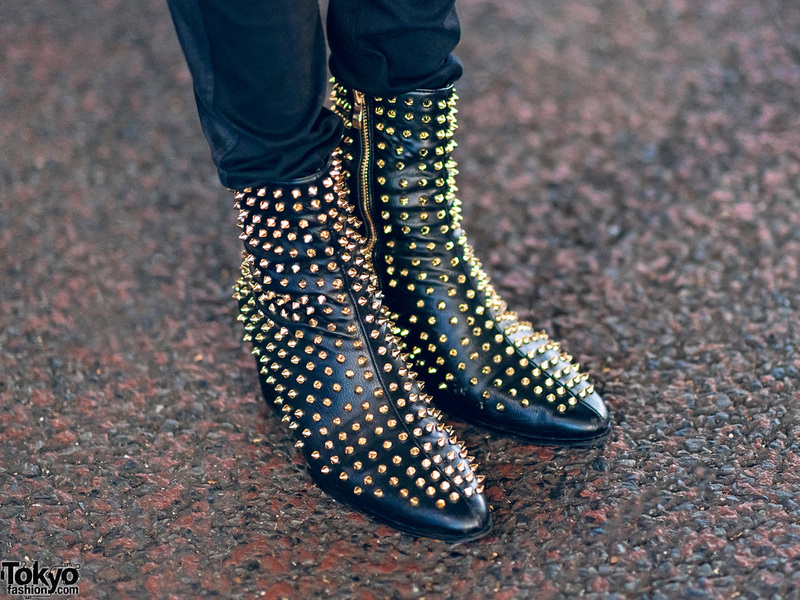 He paired his tops with black skinny pants from H&M, and slipped into black leather zipper boots with gold spikes from Jury Black. 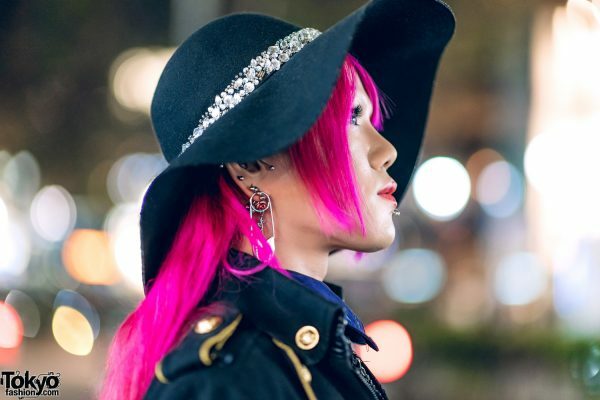 Hie accessories – mostly from Avalanche – include a black wide brim hat with silver charm embellishments, multiple ear piercings with safety pin earrings, a labret piercing, a layered cross pendant necklace on top of a purple lace cravat, and a silver watch. 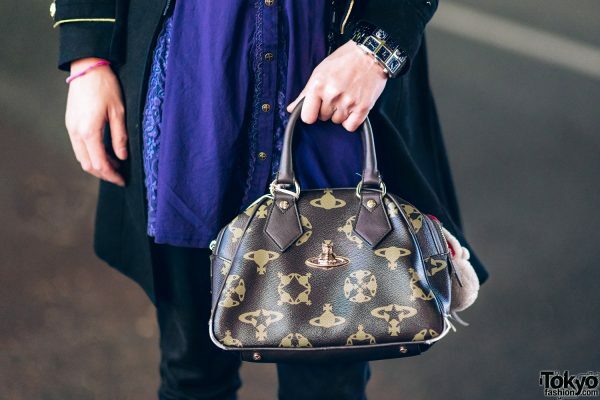 In addition, Hiroki is carrying a Vivienne Westwood orb print leather handbag. 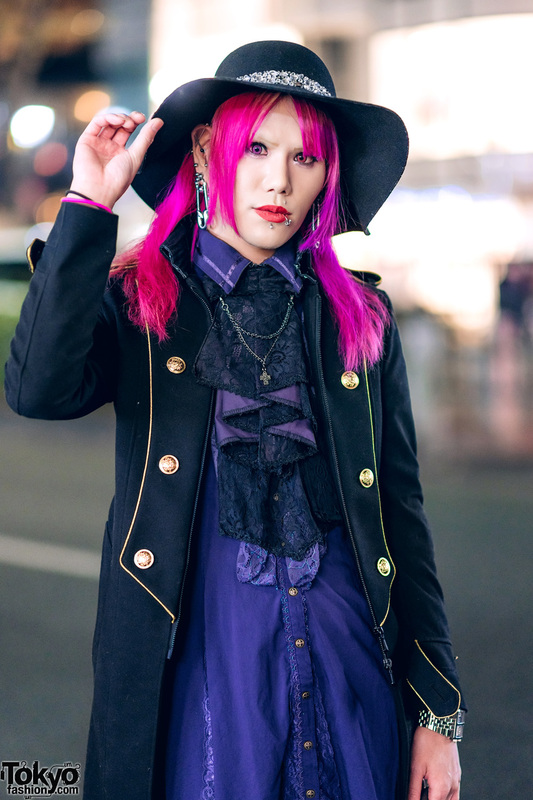 Vivienne Westwood is Hiroki’s favorite brand, and he likes listening to visual kei and rock music. 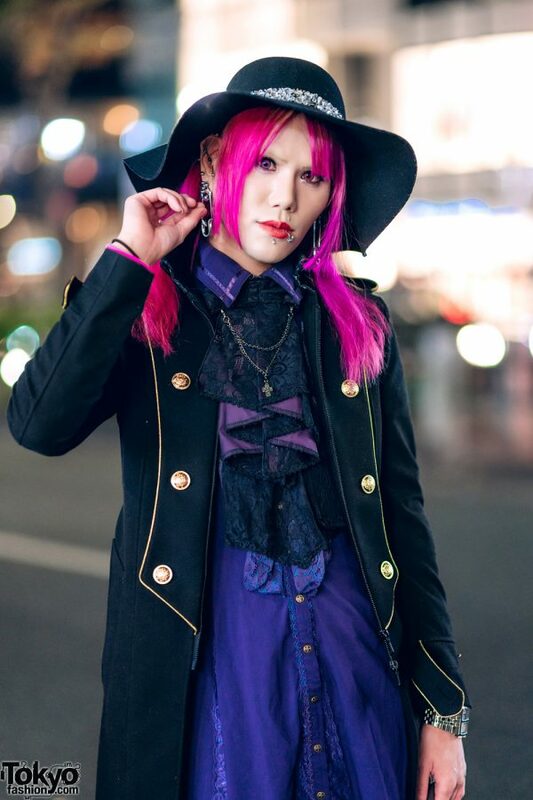 Hiroki is also active on Instagram and Twitter.